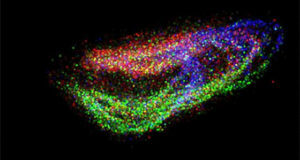 Advancements in multiplexed in situ RNA profiling techniques have given unprecedented insight into spatial organization of tissues by enabling single-molecule quantification and sub-micron localization of dozens to thousands of RNA species simultaneously in cells and entire tissue sections. However, the lack of automation of the associated complex experimental procedures represents a potential hurdle towards their routine use in laboratories. 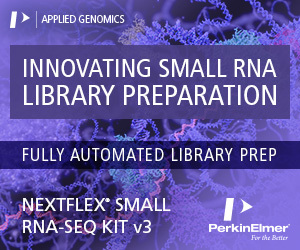 Here, Stockholm University researchers demonstrate an approach towards automated generation and sequencing of barcoded mRNA amplicons in situ, directly in fixed cells. This is achieved through adaptation of a microfluidic tool compatible with standard microscope slides and cover glasses. The adapted tool combines a programmable reagent delivery system with temperature controller and flow cell to perform established in situ sequencing protocols, comprising hybridization and ligation of gene-specific padlock probes, rolling circle amplification of the probes yielding barcoded amplicons and identification of amplicons through barcode sequencing. By adapting assay parameters (e.g. 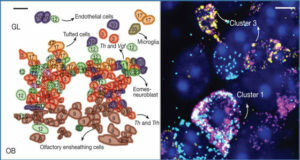 enzyme concentration and temperature), the researchers achieve a near-identical performance in identifying mouse beta-actin transcripts, in comparison with the conventional manual protocol. 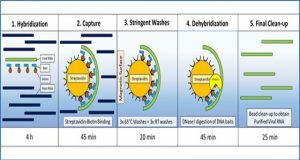 The technically adapted assay features i) higher detection efficiency, ii) shorter protocol time, iii) lower consumption of oligonucleotide reagents but slightly more enzyme. 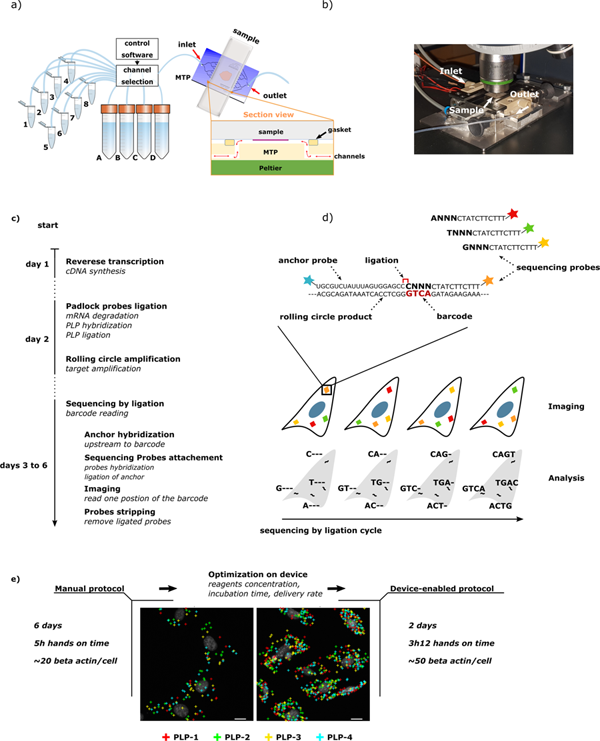 Such an automated microfluidic tissue processor for in situ sequencing studies would greatly enhance its research potentials especially for cancer diagnostics, thus paving way to rapid and effective therapies. (a) Working principle of the microfluidic technology. The microscope slide containing the sample is clamped to the MTP to form a reaction chamber of 17 × 17 × 0.1 mm2 where temperature is controlled by a Peltier element. Reagents are uniformly delivered in the reaction chamber thanks to the MTP micro-channels design. Reservoirs one to eight and A to D consisting of disposable eppendorf and falcon tubes respectively that were filed with the different reagents solution needed for the assay before mounting on the machine. Reagent delivery (e.g. polymerase mix, washing buffer) is controlled via software. The inset in figure shows the cross section of the clamped sample and MTP. (b) Picture of the sample processing unit on a microscope stage. (c) Scheme of the ISS assay with corresponding time schedule for a manually performed protocol. mRNA in the cells is reverse transcribed to cDNA. mRNA is then degraded to allow hybridization of molecularly barcoded PLPs to cDNA. Upon hybridization, a PLP circularize, bringing its two arms side by side on the target allowing them to be ligated. The formed circles are then amplified by RCA, producing RCPs which are nearly micron sized amplicons consisting of end-to-end repeats of the PLPs sequence. 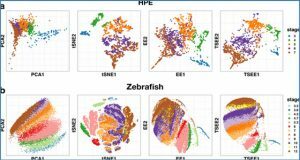 SBL of the RCPs barcodes finally allows to identify the original mRNA detected. 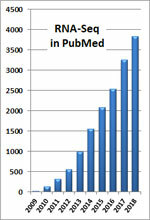 The fluorescence signal is strongly amplified thanks to the high number of barcodes within RCPs. (d) Scheme of SBL cycles leading to a full RCPs barcode resolving. Information is read as fluorescence signal from sequencing probes during imaging, interpreted as nucleotide during analysis. 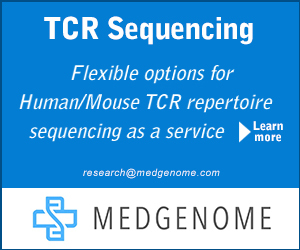 Sequencing probes perfectly hybridize to RCPs except at the barcode positions where one fixed and three degenerate nucleotides allow to resolve this specific barcode’s nucleotide through preferential ligation of the matching sequencing probe to an upstream primer. 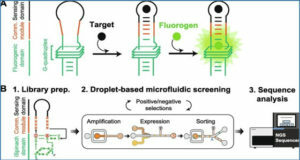 Sequencing probes carry nucleotide-specific fluorophores. (e) Summary of the study with simple workflow of the optimization and comparison of the critical parameters of the assay (duration, hands on time and detection yield). 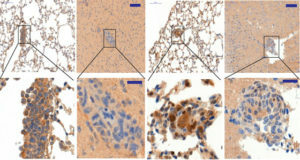 Insets are corresponding images post-analysis obtained for application of the ISS assay to the detection of Actb in MEF cells using four PLPs (scale bars are 5 µm).